Wendi McClendon-Covey, star of The Goldbergs joined The Chew to help Michael Symon combine two delicious dishes into one. 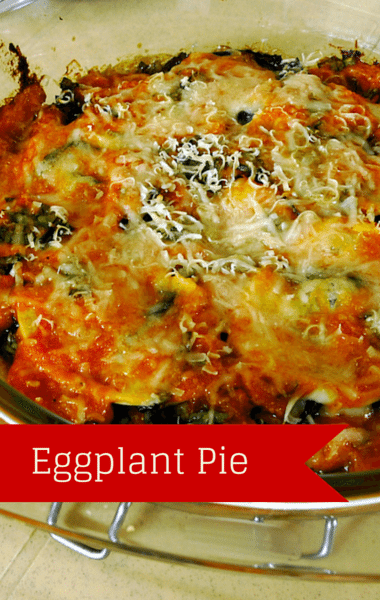 He took a pizza pie and combined it with eggplant parmesan, to make Eggplant Pie! This is one of those recipes that will make you wonder why you never thought of it yourself! Between the breaded eggplant and the pizza dough, it’s hard to decide which aspect of this dish truly makes it a masterpiece! You can buy store-bought pizza dough to save yourself a ton of time, or you can be adventurous and make your own! You really can’t go wrong with this recipe, even for meat lovers! To get the recipe, click next page.